When you go out for a date, your first thought is that you want to keep it cute. And what can be cuter than you two sitting on swinging chairs, eating some well-prepared pasta and then sharing some ice cream for dessert? White Bricx Cafe in Sector 50 is that place where you find it all. Sector 50’s White Bricx Cafe has a ambiance which is uber cute. 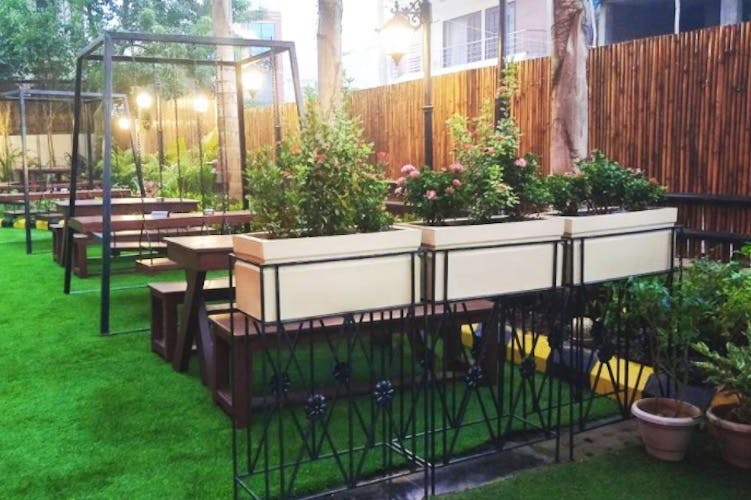 The place inside is done tastefully with vintage chairs and the outdoor area has swinging chairs that will enhance the whole date experience. In fact, you can view the live kitchen if you opt for the outdoor seating area. The place offers a very extensive menu that includes North Indian, Italian and Continental cuisines. But we say, you opt for Italian which is done exceptionally well. If you and your date have a bit of a sweet tooth, this place is the exact fit for you. They offer the creamiest milkshakes based in Nutella, peanut butter and banana. But it is shakes like Roohafza and orange candy shake and Cerelac and cookie shake that will keep you coming back. And if you both like to experiment, make sure you have their special fried ice cream or chocolate samosa. If you and bae have been wanting to get out for a date but have not been able to find a cute place that offers a romantic ambience, your search for a venue ends at Sector 50’s White Bricx Cafe.